In a ruling that could have reverberations on this year’s crucial elections, a federal judge Thursday ruled that Florida’s current ban on former felons voting is unconstitutional and needs to be changed as soon as possible. U.S. District Judge Mark Walker issued a blistering ruling that says the state’s current process to restore voting rights — which can take years — is flawed. The lawsuit was filed last year against Gov. 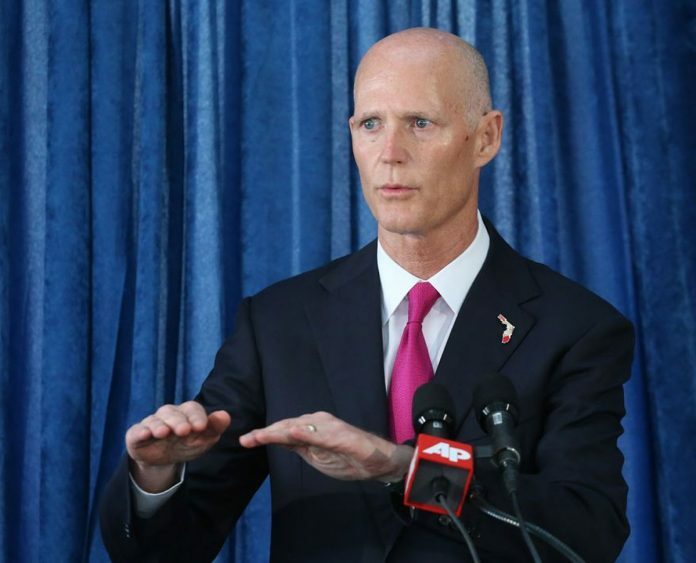 Rick Scott by a voting rights organization on behalf of several people who had completed their prison sentences but had their request for voting rights turned down. For decades, Florida’s constitution has automatically barred former felons from being able to vote once they leave prison. The state’s clemency process allows the governor and three elected Cabinet members to restore voting rights, although the governor can unilaterally veto any request. Walker said in his ruling that the automatic ban is legal, but added the process can’t be arbitrary, or swayed by partisan politics. He noted for example that Scott and the Cabinet restored voting rights to a white man who had voted illegally but told Scott that he had voted for him. Walker also pointed out that others who acknowledged voting illegally — but were black — had their applications turned down. Florida’s current process for restoring voting rights to felons who have completed their sentences is a slow one. It requires a hearing, and applicants are often denied. Shortly after taking office in 2007, then-Republican Gov. Charlie Crist convinced two of the state’s three Cabinet members to approve rules that would allow the parole commission to restore voting rights for non-violent felons without a hearing. Within a year, more than 100,000 ex-felons were granted voting rights. Florida’s ban on ex-felon voting — along with a voting list purge that took some non-felons off voting rolls — likely cost then-Vice President Al Gore the 2000 presidential election. Republican George W. Bush won Florida that year, and thus the White House, by 537 votes in an election that took five weeks to sort out.